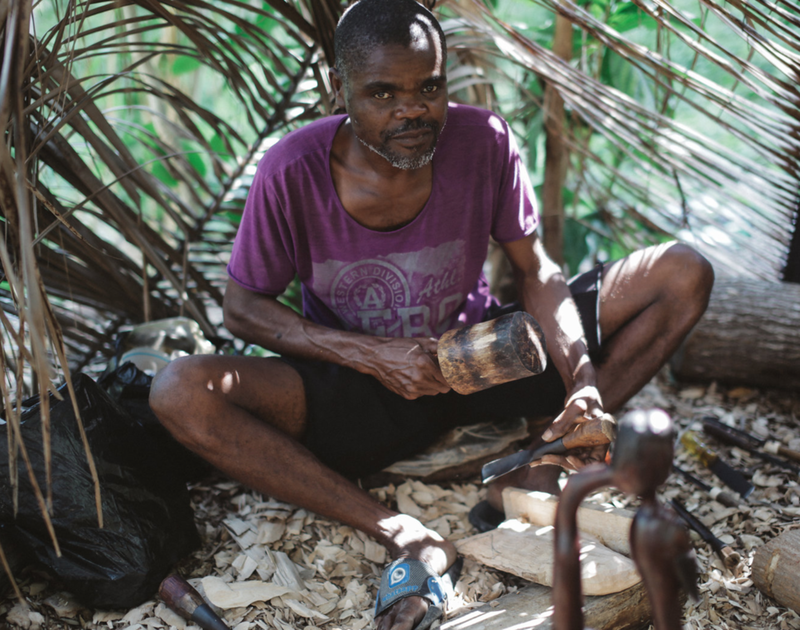 We first met Boss Zobolo, also known as "the Professor" back in 2016. 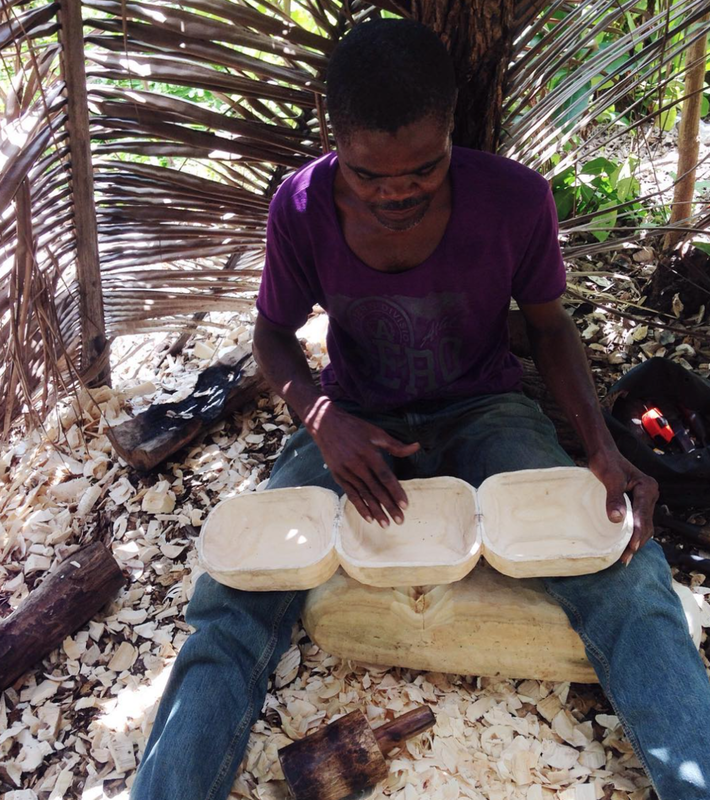 Zobolo taught young men in his community the craft of woodworking fully by hand. 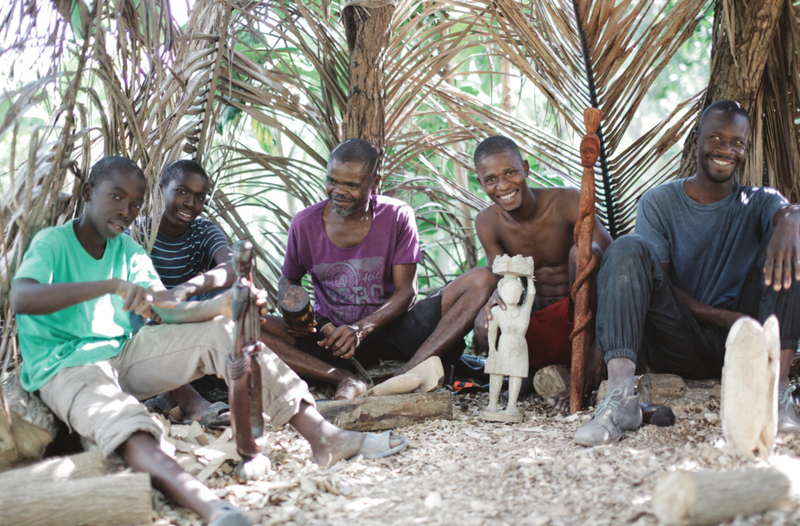 This groups now works together, managed by Zobolo's son Franses. 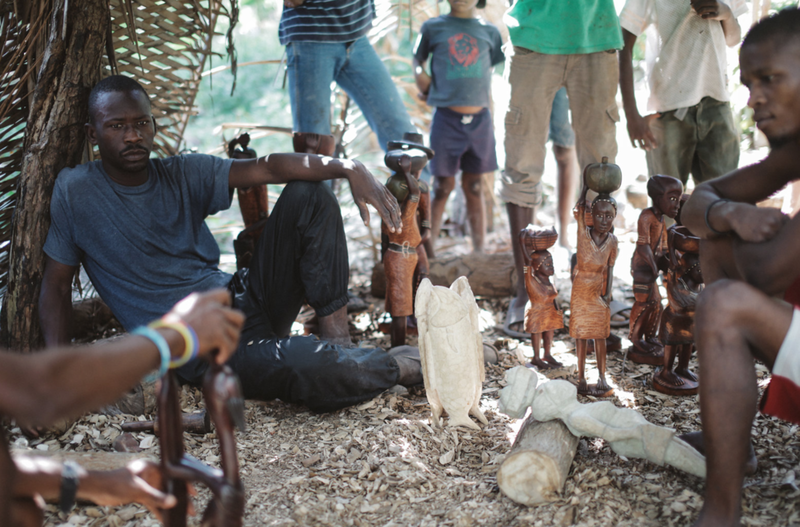 They specialize in wooden art pieces for the home, as well as display pieces you will find in our shop in Port au Prince. 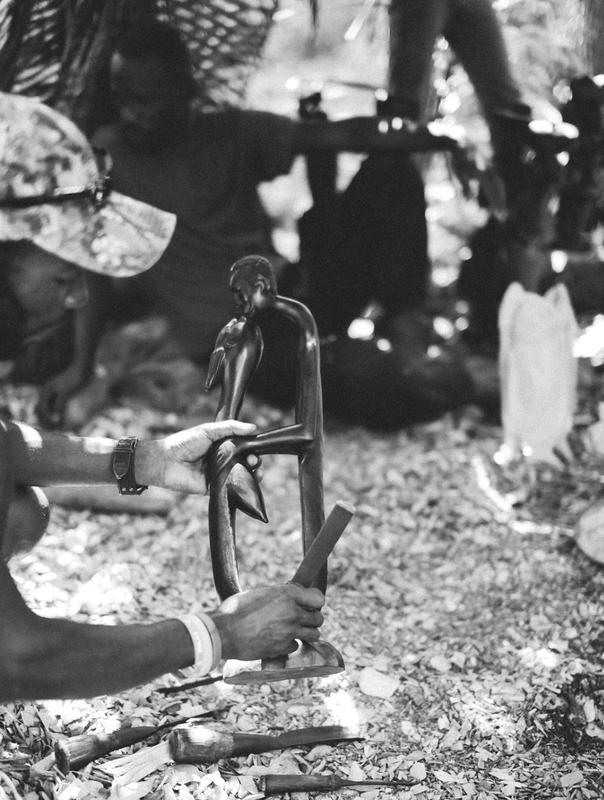 Without electrical tools or access to electricity, these men fully rely on chisels and old wooden hammers to carve out their creations.